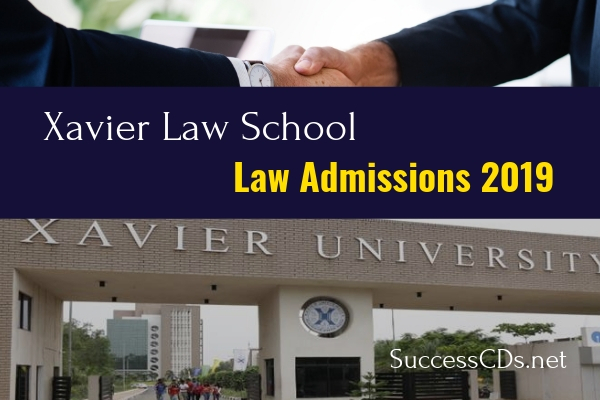 Interested candidates can check all the details of Xavier Law School BA LLB, BBA LLB Admission 2019 like how to apply, eligibility criteria, application fee, etc. this page given below. Class XII (or equivalent) in any discipline, with at least 60% marks in aggregate. Final year +2 students, who expect their final results by 30th May 2019 can also apply. CLAT score of 50 or above; or All Indian Law Entrance Test (AILET) or any other equivalent test score; or passed XLET-Xavier Law Entrance Test. Bank account / Debit card details for carrying out the online payment transaction. Pay the application fee through the Payment Gateway. (Application fee is Rs.1500/- for one program, and additional Rs.500/- each for every additional program.